I am thankful that Sung Joon will be starring in I Need Romance 3!!! I love, love, LOVE Sung Joon from the first moment I saw him in Lie to Me. The show seems like it will have a Noona- Dongsaeng relationship and, and, AND—HE WILL BE A MUSICIAN!!!! All kinds of excitement over in Stone Cities! The show will premiere in Mid January. Will share dates when we have more information. I am thankful that I got to see the first episode of Pretty Man starring Jang Geun Suk! In the first episode we get to see him kiss someone twice! I am not sure how I feel about the show because the first episode is really a setup, but I am already excited. 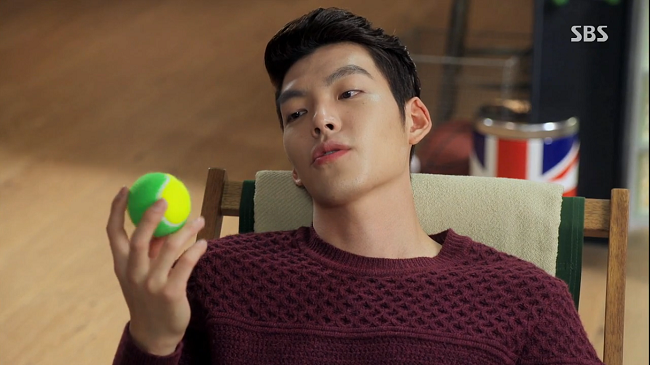 I am thankful that we are halfway through Heirs because Lord knows I am ready to be watching some other dramas! Don’t get me wrong, I do not hate the show. But in all honesty, it is kind of a boring Sad Saga with random moments of me winking and blowing kisses at Young Do (What? I keeps it 100%, I would date Young Do). And that is how the Thankfulness cookie crumbles! Don’t forget to enter the “Stone Cities Giveaway: What are you thankful for?” Contest. Only a few days left before we announce the winners. Get to it before it ends! « Thankfulling Month Part 2!